The main garden was mulched by adding four wheelbarrows of wood chips. There is about half the 10 yards delivered still in the driveway. This will be applied to the various bush berries and decorative trees. The boards still in the garden are covering seeds that have not germinated yet. 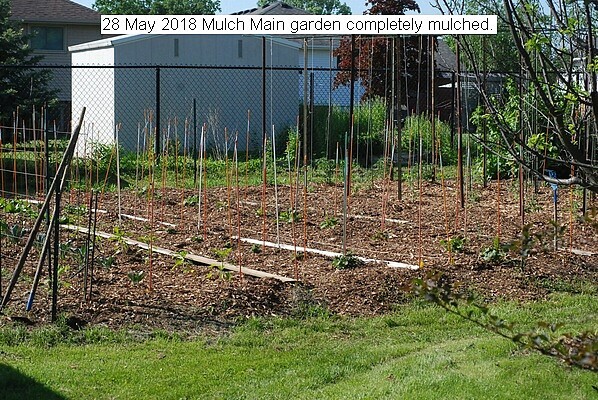 This entry was posted in Uncategorized and tagged 28 May 2018 Mulching, Mulch. Bookmark the permalink.